FE Connory is a 7 year old, 16.1hh, Holsteiner imported from Germany. Successfully competed SJ and YH classes in Germany. 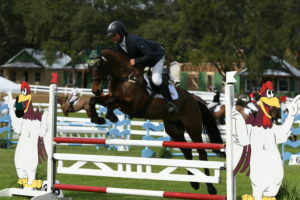 FE Connory is one of the first offspring of Conrato, a young Holstein stallion. Conrato is by the famous Caretino. 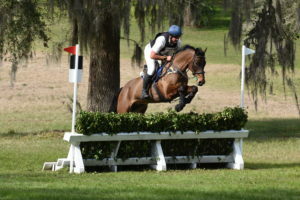 This breeding has resulted in Connory – a beautiful mover and careful jumper, with 60% blood and the speed and stamina to go XC. 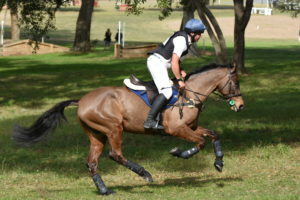 A Thoroughbred type with the jump and movement of a Warmblood he has all the attributes to go to the top of Eventing. 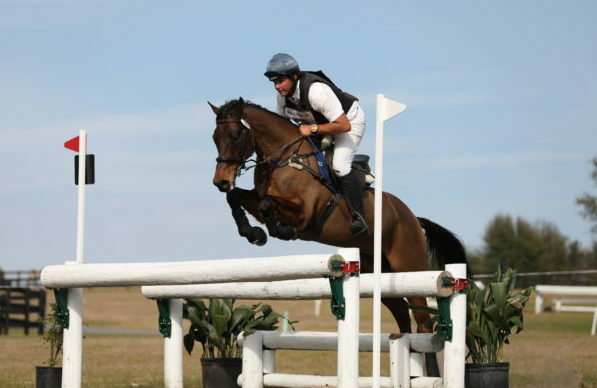 He is one of the most naturally talented XC horses we have imported and jumped around the Training course with ease at his eventing debut.